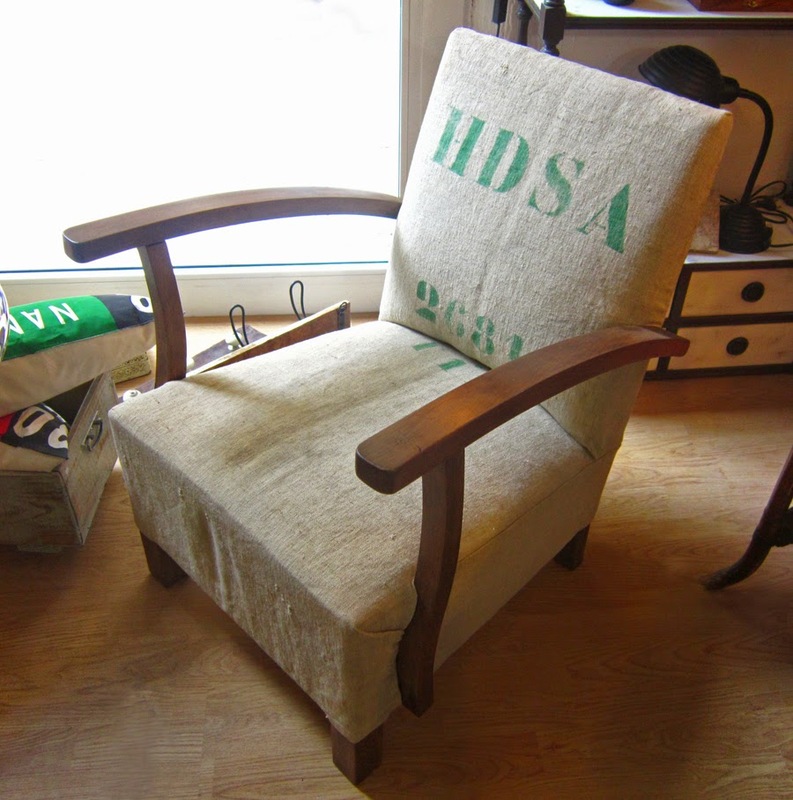 A beautiful Art Deco armchair in solid walnut, very comfortable as well, that was an absolute pleasure to bring back to its original splendor! 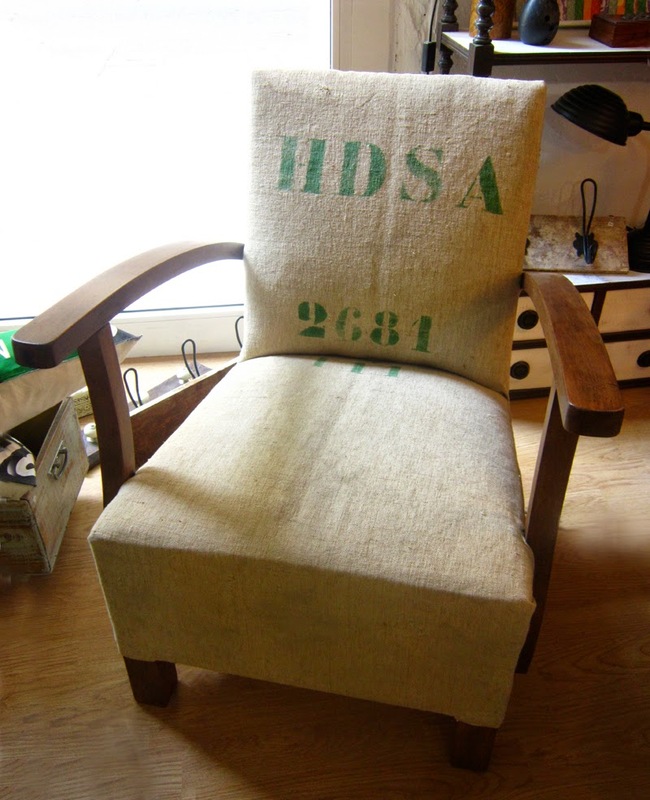 I have re-upholstered it with a gorgeous linen sack from the first decades of the 20th Century to complete the rustic-but-elegant look. Check the detail pictures and the selection of shots taken during the laborious -but indeed rewarding- restoration process below. 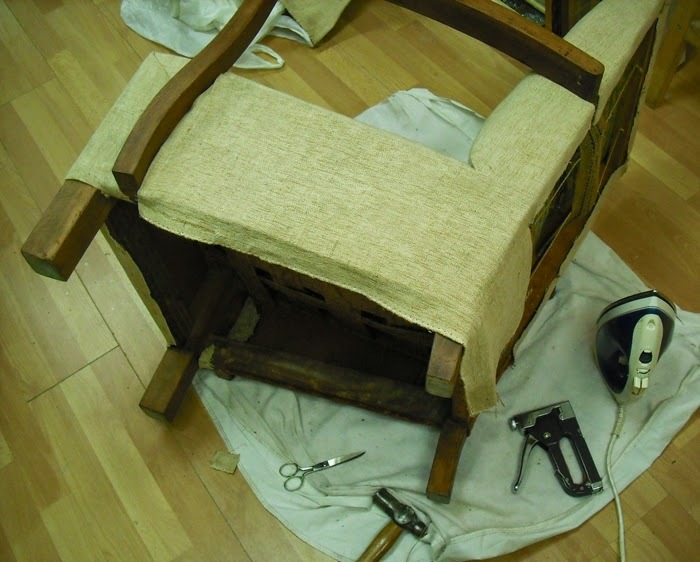 Ripping off the upholstery that covered the arms, and the back piece: the original work starts to show! 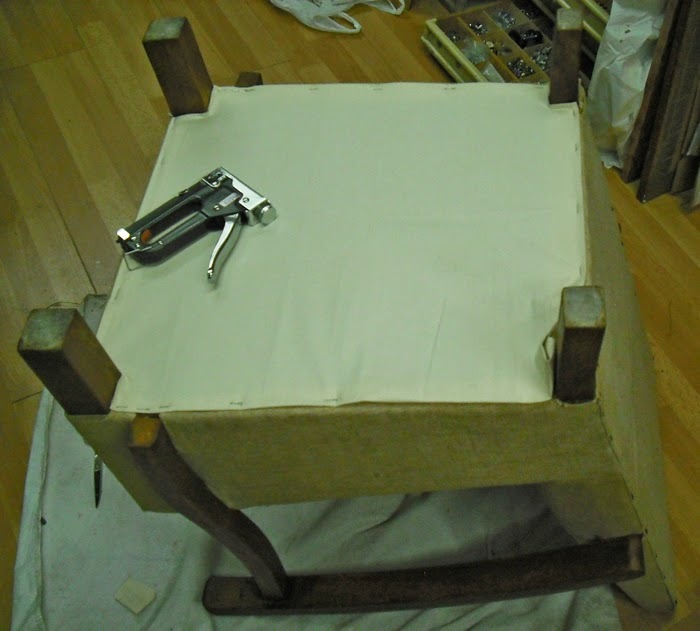 Reinforcing the sewn-and-tied coil springs at the back of the armchair. 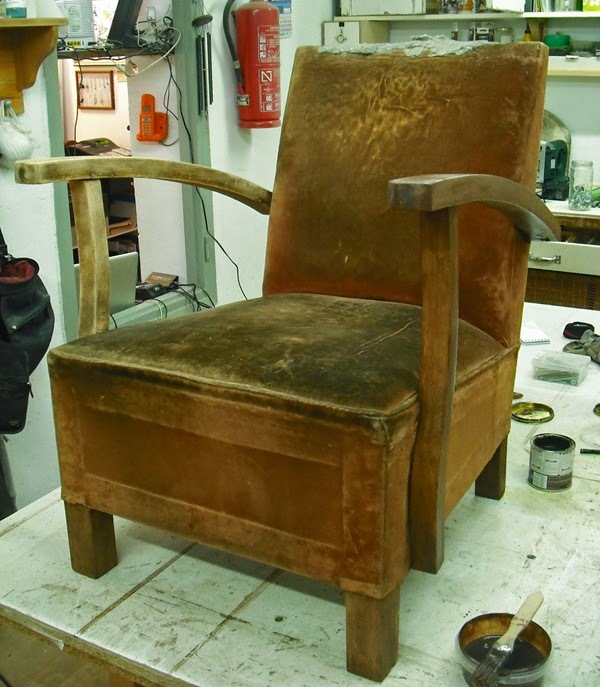 On the right, the original pice from 1930's with its old chocolate brown velvet cover, revealed! Once the whole frame was cured, filling the little holes with putty. On the right, starting to stain the wood parts with a water-based, self-made walnut and teak coloured varnish. 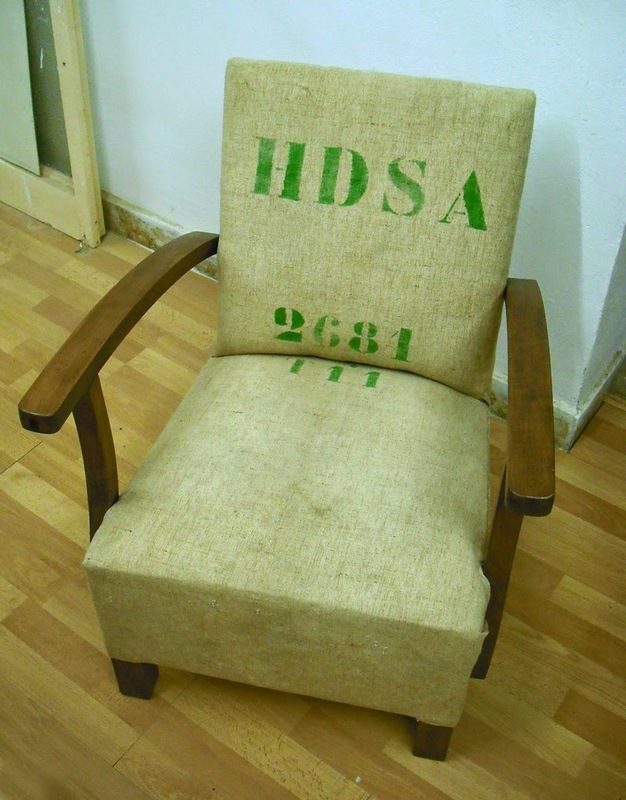 The gorgeous old linen sack, before it got cut. 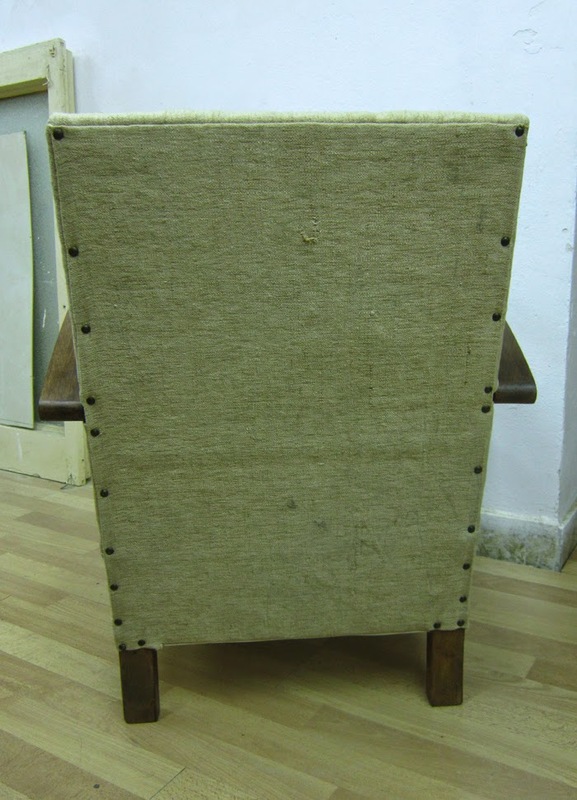 On the right, padding the upper part of the back rest for increased comfort! 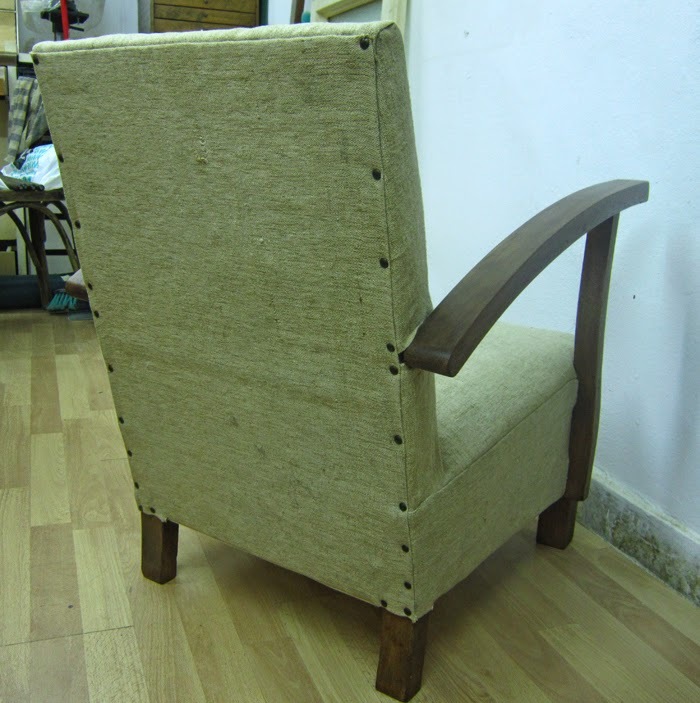 Some shots taken during the laborious process of adapting the new upholstery: Tightening the seat piece of material to the back of the frame, fastening the side parts with almost invisible seams, and finally stapling the dust cover for the bottom of the chair.